What a Hozier, eh? It's Wasteland, Baby! by it's mewsic! right meow! Essential Songs by Billie Eilish & Neutral Milk Hotel + Making A Music Video by it's mewsic! right meow! Who Owns What In Music & The Comfortable Favorite Sweater That Is Gallipoli by Beirut by it's mewsic! right meow! Sticks & Stones May Break Our Bones But What Is James Blake Doing On Assume Form? by it's mewsic! right meow! Special Guest: Nick Thorburn and The State Of Music & Deerhunter's New Album by it's mewsic! right meow! Getting dirty in the soil by serpentwithfeet by it's mewsic! right meow! More Like The 1980s... A Brief Inquiry into Online Relationships by The 1975 by it's mewsic! right meow! 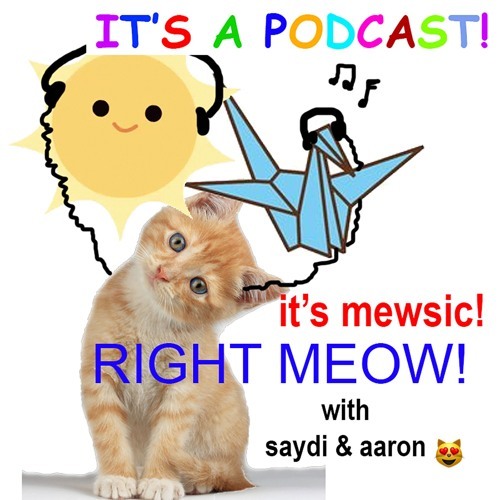 Earworms & Kittycats Vol 1: Songs That Got Stuck In Our Heads by it's mewsic! right meow! Comparison & Contrast: Caution by Mariah Carey & Sweetener by Ariana Grande by it's mewsic! right meow! Lost In The Harmonies of Delta by Mumford & Sons by it's mewsic! right meow!